The Panama Papers—A Small Part of a Larger Challenge? Home » Articles » Banking Compliance and FATCA » The Panama Papers—A Small Part of a Larger Challenge? The Panama Papers has become a new buzz phrase. Information contained in the Panama Papers illustrates the dangers of noncompliance for U.S. taxpayers and for citizens of other countries with whom the U.S. has exchange of information agreements. So why should all of this journalistic reporting carry the name of a country that has worked very hard to promote its transparency when it is well known that you don’t have to go to Panama to create a shell company? It can be done right here at home in the United States. In many jurisdictions, including the U.S., it is legal to create and be a beneficial owner of the assets of an offshore entity or offshore trust. 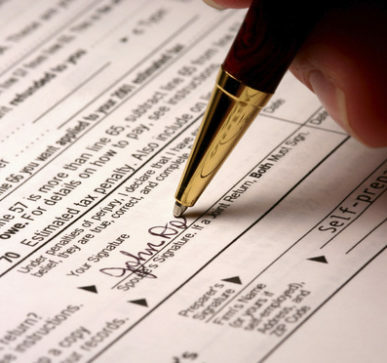 In the U.S., using structures to evade taxes and hide reportable assets and income is illegal. The Internal Revenue Service pointed to offshore tax avoidance once again in 2016 in its dirty dozen tax scams. The IRS understands that there are legitimate reasons to maintain offshore accounts and business structures. Nonetheless, the IRS expects U.S. taxpayers to comply with the U.S. reporting and taxpaying requirements. Noncompliance can lead to U.S. criminal prosecution. The IRS continues to pursue cases all over the world regardless of whether a U.S. taxpayer banks overseas and chooses a bank with no offices on U.S. soil. And let’s not forget the automatic Foreign Account Tax Compliance Act reporting that began in 2015. Having offshore structures and offshore accounts will not go unnoticed by the IRS. Whether or not the Panama Papers leak was a cyberattack may no longer matter. The amount of information and exposure leaked is already changing things. According to the Organization for Economic Cooperation and Development, tax authorities around the world will explore possibilities of cooperation and information-sharing, identifying tax compliance risks and agreeing on collaborative action in light of Panama Papers disclosures. At this point, it is best for noncompliant U.S. taxpayers to become compliant, and U.S. taxpayers that are out of compliance still have an opportunity to act. They can comply with the U.S. tax system and regularize their U.S. tax obligations. The probability that the responsibilities of professional service providers like lawyers and accountants in the areas of anti-money laundering and combating the financing of terrorism will be enhanced and more clearly defined. Finally, given that the tax world is interconnected and globalized and countries will exchange financial information about each other’s taxpayers, it is best to not be a victim of your own making. Seek professional tax advice.